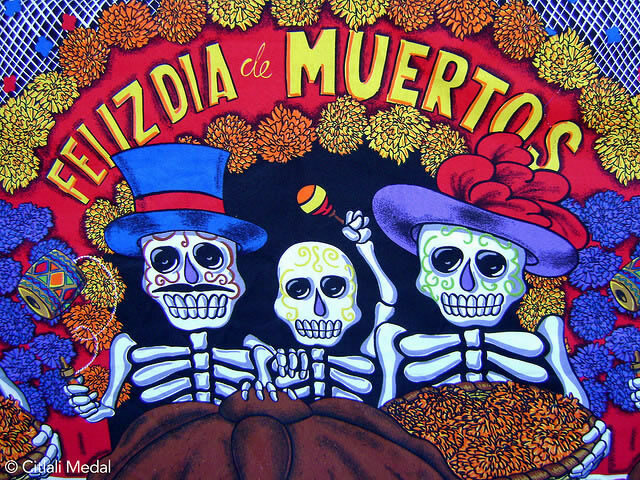 Dia de Los Muertos is a Mexican holiday celebrated in central and southern Mexico during Nov. 1 and 2. It is believed that the gates of heaven are opened at midnight on Oct. 31. The deceased angelitos are only allowed to reunite with their family for one day, Nov 1. On Nov. 2, the adults come down and party. Families on Nov. 2 go to the cemetery and clean tombs, play cards, listen to music, or reminisce of the ones they lost. This day is not a sad day, it is a joyous event where people can reunite with their loved ones that passed. 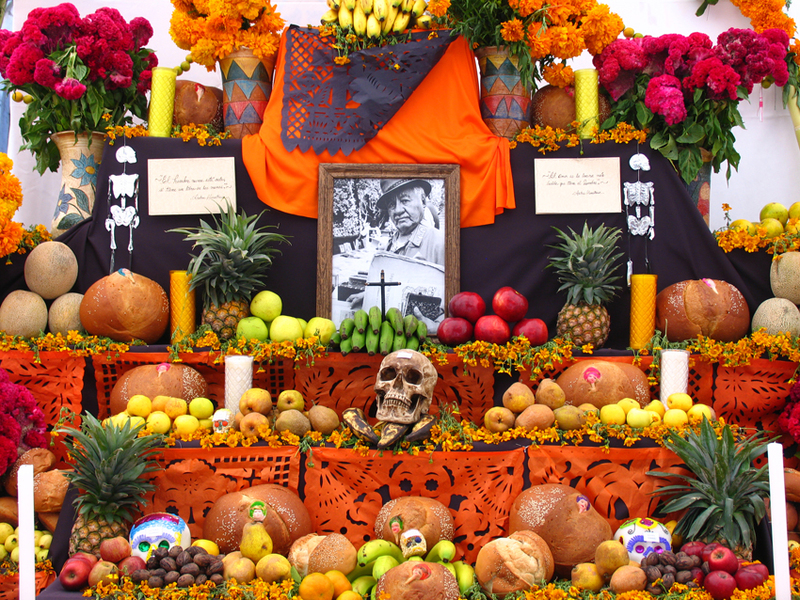 To honor their loved ones they make altares to remember and honor the deceased. 1.Cempasuchil (Marigolds) These Flowers use their color and scent to guide the spirits to their respective altars during Dia de Los Muertos. 3. Papel Picado, It symbolizes wind, it is used to decorate your altar. 5. Cavaleritas de azucar. These sugar skulls are placed as decoration to recognize the person who has passed. 6. Pan de muerto, The bread is for the deceased to eat. 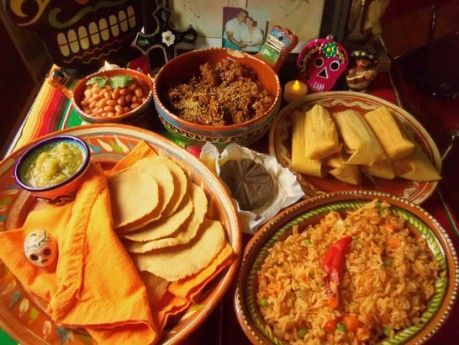 The bones represent the circle of life and there is normally a baked teardrop on the bread to represent goddess Chimalma’s tears for the living.